Noun. The benefits of something. 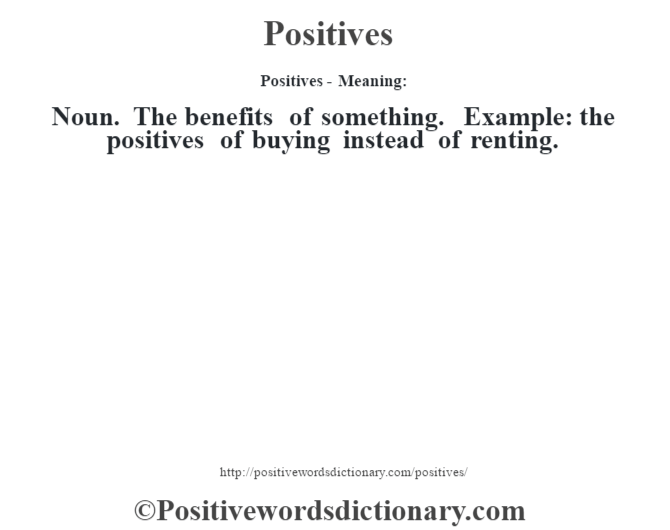 Example: the positives of buying instead of renting.